As I've mentioned before, my husband and I took several months to decide whether we really wanted to remodel our kitchen. During that time, we interviewed several different contractors — a very instructive experience. Sure, you can flip through magazines for design ideas (and we did plenty of that), but honestly, having a variety of actual experts troop through your house is the best way to figure out what's possible. Or not, as the case may be. The first contractor we called came and checked out our little kitchen, promised to get us a bid, and then never got back to us, even after a few follow-up calls and emails. The second sent us a pro-forma bid in the mail that seemed like it had been put together for a different client entirely. And the third basically told us that we would have no say in the process whatsoever; the design was up to the designer, not the client. That third contractor, however, did provide us with the key to solving our kitchen-layout problem: switching the locations of the stove and the fridge. This a-ha! moment let us start to envision what an improved kitchen might actually look like and how it might really work. Some things were never going to be improved. We couldn't knock out a wall, for example, to open up the kitchen to the rest of the house; we needed all the available wall space in order to fit the basics (fridge, stove, sink). 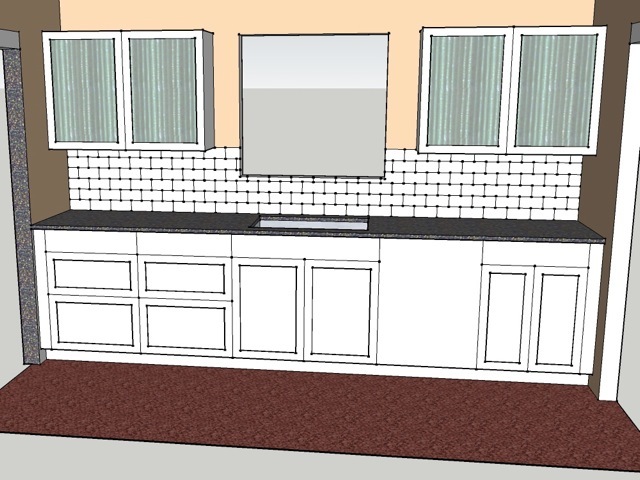 And we couldn't widen the kitchen; we were going to be stuck with its weird squareish dimensions, too wide for an efficient galley kitchen and yet too narrow for an island. But switching the range and the refrigerator meant that we could actually start using the southeast corner of the room, formerly occupied by an awkwardly placed fridge and a storage table. With the fourth and fifth contractors we talked to, we finally struck remodeling gold: contractors whose modus operandi is to actually talk with their potential clients, trying to figuring out what they want, and then gradually coming up with workable designs. In this era of computer-assisted design, whipping up 3-D mockups is fast and relatively easy. What does a wall covered in subway tile actually look like? Or cabinets that stretch all the way to the ceiling? Hey presto, you can see it — and change it until you like it. One early design, for example, showed what the kitchen would look like with upper cabinets on every available wall: cramped and cavernous. We had asked to see what this would look like, since we wanted to get as much storage space as possible out of the new kitchen. But once we saw the mockup, we quickly agreed with the contractor that upper cabinets everywhere was too much. Another couple of competing designs showed options for placing the fridge: one option with a tall built-in pantry next to the fridge, the other with a small countertop on the side. As much as we liked the idea of pantry storage, we went for the countertop, since it made the kitchen feel more open. After much back-and-forth between us and the last two contractors, we picked the one we thought we communicated with better: Andrew Gold of Lux PDX. Gold was both efficient and detail-oriented, patiently answering our many questions about designs, pricing, and sources. We didn't meet Ian Mallett, the company's site manager, until the project actually started, but he had the same skill set, able to explain industry jargon to confused clients like us and efficiently manage a work site with numerous subcontractors. Perhaps if we had talked to them first, we might've just taken them for granted. Instead, we were very grateful they made things as easy as they did. Not so easy, alas, is the essential task of comparing bids. On the one hand, this is apples to apples; nearly all the bids came back with similar total estimates. We gave our contractors the same parameters each time — a mid-range, small-scale total kitchen remodel — and their bids were all essentially the same. On the other hand, the task is apples to oranges, since each contractor breaks down the bid in a different way. One contractor might bundle the cabinetry with the countertops; another might separate out the demolition from the permits. 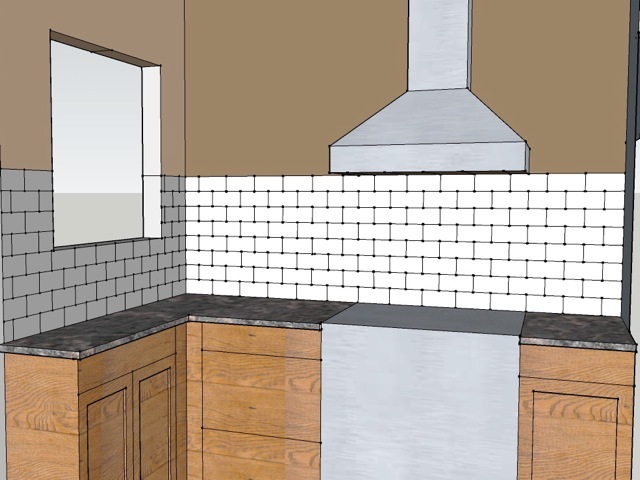 Trying to compare exact allowances for each component of a kitchen remodel therefore becomes a bit of a headache. Finally, we did the usual due diligence: verifying that the contractors we liked had valid licenses, no complaints against them, good references from prior clients, and the like. This, of course, takes more legwork, but it was worth it for our peace of mind. After months of discussion and a remodel that took the better part of two months, the final bill exceeded the original contract by less than $300. Given the prevalence, in the remodeling world, of "project creep" and ballooning cost overruns, this accuracy was impressive.